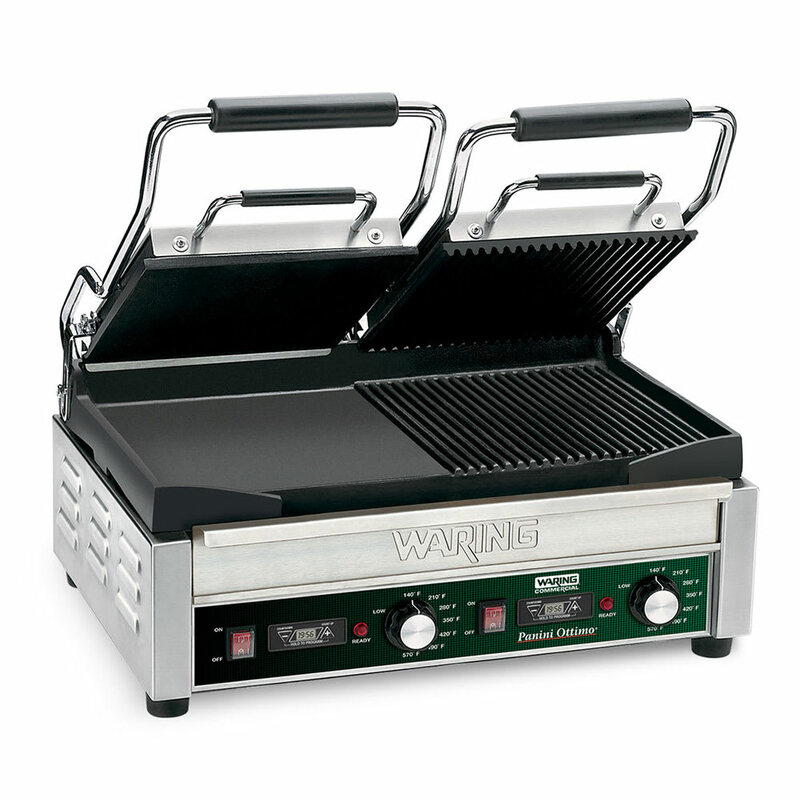 The Waring WDG300T dual surface panini grill has a brushed stainless steel body that resists scratches and dents. It comes with an adjustable thermostat to 570 degrees Fahrenheit and a built-in timer. Half the unit has ribbed plates and the other half are flat cast iron plates for versatile cooking. 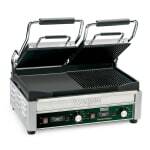 Its top plate is hinged and balances automatically to accommodate foods that are 3 inches thick. The handles prevent heat transfer, and the removable drip tray facilitates cleaning. Cooking surface dimensions: 17 in. x 9.25 in. 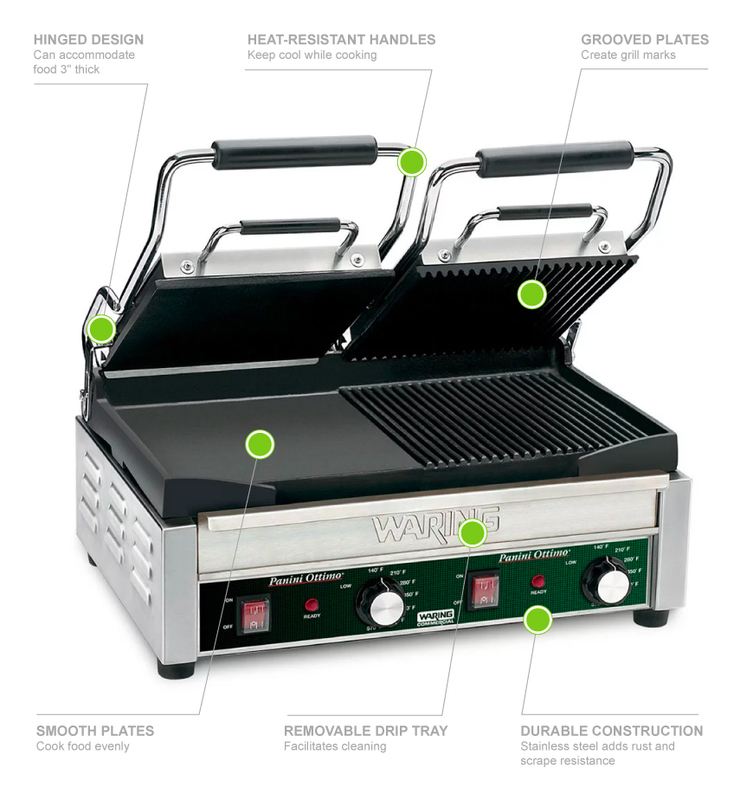 Check out our Waring panini grills guide to learn more about these units.